In 2008, Trish became the founding Director for Meeting Street Academy – Charleston and spent five years there building a college prep school model for underserved families that is now being replicated in Spartanburg and North Charleston. Trish later served as the Director at Meeting Street Academy- Spartanburg for five years. Trish currently serves as a Network Consultant for our organization. 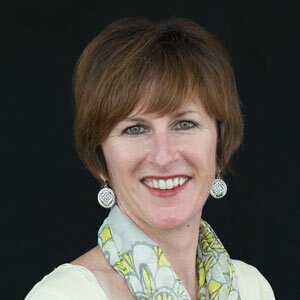 Trish holds a Bachelor of Arts Degree in Speech Communications from West Chester University in Pennsylvania and a Master’s Degree in Teaching from the College of Charleston. Trish is a National Board Certified Teacher in the area of Early Childhood Literacy. Her early experience in education includes teaching in the elementary grades in Charleston and Berkley County. Trish was the Director at The Child and Family Development Center in North Charleston; an NAEYC accredited Family Literacy Program. During that period, Trish conducted several literacy trainings and presented at national and local conferences in the field of early childhood literacy and parent involvement. Her experience with children began in the Seattle area where she was a court liaison for the King County School District and the Juvenile Justice system. Originally from the Washington DC area, she now calls South Carolina her home. Trish truly loves working with families and watching children develop the skills they need to be college graduates and future leaders! She enjoys traveling, hiking and spending time with her family.